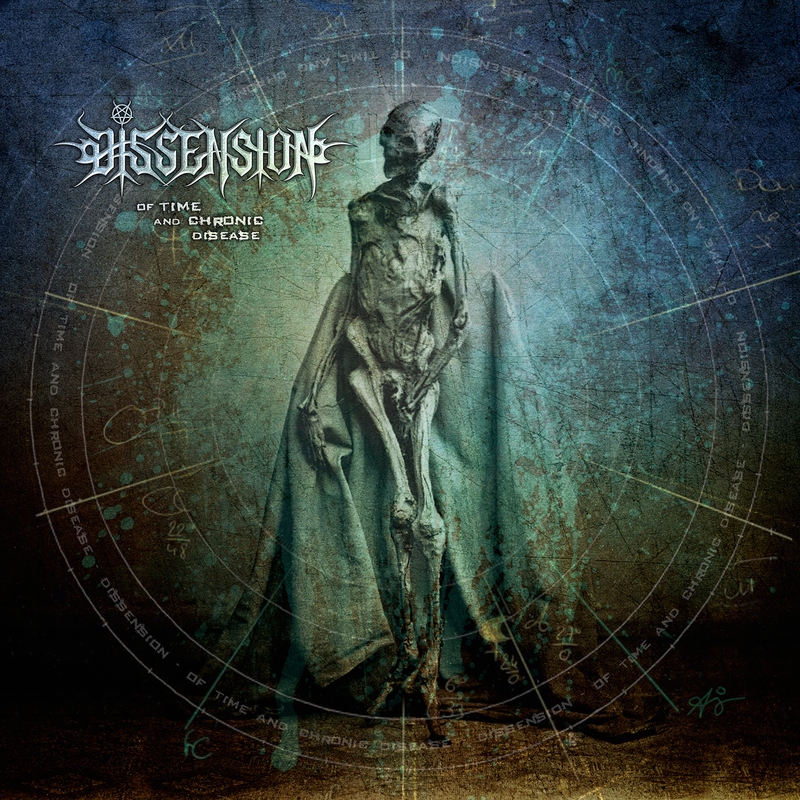 Some of you may remember Dissension from my relatively recent review of them. Their music is Carcass derived yet often tries to reach for something more, something different and unique, approaching the bleeding heart of death metal in their own unique way. The ripping chords and beautiful harmonies that dominate Of Time And Chronic Disease showcase the inherent power that death metal has, with symphonic edges and riffs that are often to die for this is a record that rips out your throat and then parades it before an audience of thousands. What makes this record special is the bombastic side that Of Time and Chronic Disease, it creates an epic and powerful backing for an album that often deals with greater concepts, from society to reality the lyrics here are quite excellent and seem rather Schuldiner influenced at times. The growls add to the Carcass feel that a lot of Of Time and Chronic Disease has. There is a certain hectic blast on some of the shorter songs too, it is nicely counterpointed by the more epic tracks, but together they form something that can be both nuanced and violent, working together in the context of the album to create something greater and more powerful than you might find in your standard death metal record. To wrap it all up, this record brings forth a new and unique approach to death metal, while all of the old gods mastery is here there are new fresh edges, taken not just from the music of Septicflesh but also from cool new bands, who are not afraid to add a splash of Iron Maidens epic dramas. In this way the music of Dissension is really allowed to shine, showing that the lessons from Of Time and Chronic Disease can bring something new to death metal. In other words, Dissension is young fresh and violent and I’m excited to here a sequel to this stellar debut!